As an occasional freelance writer, I've launched a whole crowd of anxious rambling words into a wide range of subjects and genres. These include art and movie reviews, short stories and terrible poetry, textbooks and toilet walls. For years now I have also persistently produced a multitude of movie scripts, oblivious of the fact that not a single one has ever successfully escaped the confines of the page. Initially I was extremely naive in my hope that one day something might actually be made, although it didn't take me long to realise that I had neither the tenacity nor the talent to wrestle my own feature into existence. Nevertheless, it's a habit I've maintained, partially because I love the language of cinema and partially because I enjoy that particular form of writing. I enjoy reading scripts and analysis of movies for the peculiar way in which the words are in service of one medium conjouring another. 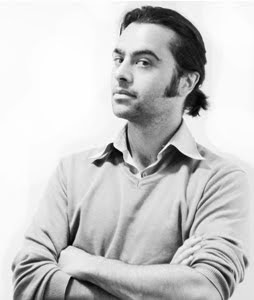 To put it another way: scripts and screenplays are instructions for making a movie. Those instructions can be used in conjunction with a million dollar budget to bring together the appropriate actors, equipment and technicians to make that movie a reality. Alternatively, the same instructions can be used with a little imagination and a basic awareness of the language of cinema, to bring the same experience to life for the reader. In starting this blog with the intention of letting some of my older and long abandoned writing out into the world, I thought it a good place to set some of these abandoned little movie pitches free in the hope they might interest, inspire or at least mildly entertain. I'm not going to post scripts, where a complete script exists, it's generally half baked and mediocre anyway. Instead, I plan to condense them into synopsis form and let you, the reader, remake them for yourselves as you wish. The intention isn't to promote myself as a scriptwriter or try and hook myself an exciting Hollywood career - it's just a different platform to share some odd little stories...and that's all they were intended to do in the first place. Quite why I enjoy zombie movies so much is beyond me. 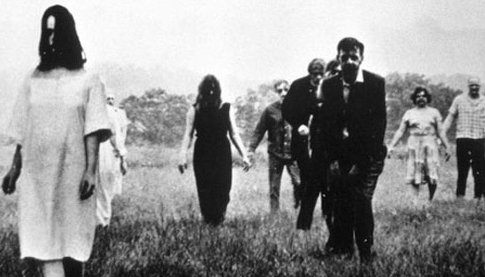 I am speaking of the classic zombie movies, of course, in which the creeping dread of the shuffling undead created a backdrop of polarised character drama, punctuated by outrageous shock moments, the best of which often teetered on the edge of the very blackest of absurdist satire. In many ways, I lost interest in the genre as the zombies started running, leaving the living characters so little time to interact or develop that the viewer barely has time to generate any empathy with their situation or develop any sense of fear and tension before the ripping and the biting starts with a vengeance. These movies can be fun if they emphasise the thrills and the splatshtick, but they are often as empty, mindless and devoid of individual character as their undead antagonists. There are exceptions, of course, but this debate is covered thoroughly elsewhere by much more knowledgeable commentators of reanimated corpses than I. My contribution was to develop a rough screenplay that attempted to all the elements that I loved about the classic zombie movies, with a an appropriately awkward lunge at a fresh perspective. 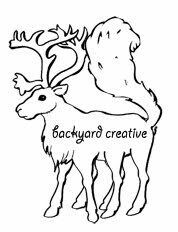 This was an optimistic early effort and was deliberately designed to be a low budget shoot that could possibly be made on shoestring backyard budget. Set in 1944, it would be shot in black and white, not only have the look and feel of a period b-movie but also to neatly obscure deficiencies in cheap production. It begins in an airport on Haiti. Outside a tropical stock-footage storm is brewing. There are a small group of passengers waiting to catch the last flight from the island. A title card sets the scene, explaining that with the outbreak of war, the Americans had abandoned their occupation of Haiti to divert their forces elsewhere. In their absence, hostilities had broken out with the Dominican Republic and the last remaining foreign residents are anxious to flee. Amongst this small group is a nervous and agitated French doctor, a young English couple named Jack and Sally and a mysterious quiet American who keeps himself separate from the group. We cut to the Haitian crew, fighting against lashing rain and wind to load the small prop aircraft. Conspicuously they are struggling with a heavy crate designed to hold live cargo. Ominously, it seems to be struggling back. As the storm worsens, they are hurried complete their task and fail to secure the load properly. 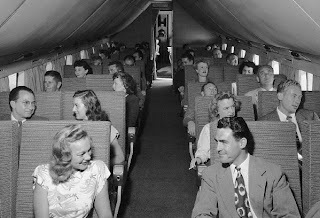 Finally, the plane is cleared for takeoff and our passengers are safely installed in their seats. The ascent, however, is troubled and we cut to the cargo hold where the crate has shifted dangerously. When the (plainly doomed) co-pilot descends to investigate, he discovers that the crate actually contained an undead stowaway and is promptly attacked and bitten for his trouble. Struggling back to the cockpit, he barely has time to explain to the situation to the pilot before he joins the ranks of the undead and attacks. After a short struggle, the pilot calmly puts his dying colleague out of his misery. They are Haitian, you see, and know all about zombies. The pilot secures the hold and returns to the controls, before noticing he too has been bitten. We return for a moment to our passengers. The young man who has been so curious about the Mysterious American, suddenly jumps from his seat in excitement. "I know who you are!" he exclaims, but before he can finish, the plane dips into a steep nosedive, throwing the cabin into panic. The Mysterious American reacts first, rushing to the cockpit. It has been locked from the inside. He calls to the pilot in English. There is no answer. He tries again in perfect French. 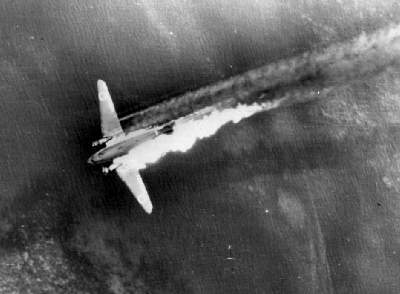 This time the pilot responds, weakened but still alive for the moment. The pilot politely apologises but explains that the plane can never be allowed to reach its destination. He adds a final line beneath a dying gasp, which the American has to press his ear to the door to hear. This is unsubtitled and muffled inaudible from the Francophone audiences. The American promptly breaks down the door and absorbs the bloody scene that greets him. With professional calm, he moves the pale and groaning pilot aside. He sits in the pilots seat and pulls up, stabilising the plane just in time. He removes his braces and ties them to the control yoke, keeping the flight steady. Before he has time for breath, the cargo hatch splinters open and the first zombie begins to crawl out. Behind him, the now zombified pilot rises unsteadily to its feet. The American decides it is time to retreat and rushes out to his fellow passengers, forcing them from their seats and leading them to the second cabin at the rear of the plane, two shuffling zombies close behind. Barricaded from the undead in the rear compartment, without weapons, in a plane without a pilot, their ordeal now properly begins. Naturally, there are a series and twists and revelations as the passengers begin to turn on each other. 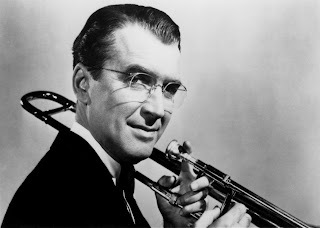 The first twist is the identity of the Mysterious American, who is revealed as bandleader Glenn Miller. This is foreshadowed by a lovably folksy approach to the character, designed to evoke the performance of James Stewart. Astute viewers may even notice that the final phone call Miller makes from the airport is written as the other side of the phone call taken by Millers wife in The Glenn Miller Story (1954), before his real life disappearance and supposed death when his plane crashed over the English Channel. In this movie, it becomes clear that Miller is lying during this call when he talks of how well his tour of Europe has been going. It is explained that his career as a bandleader is a cover for his actual role as a wartime secret agent. Miller is our hero in this movie and there is much mileage from his laid back and unflappable reaction to increasingly extreme events. He is a gentleman, even to the point of putting himself in perilous danger. He never swears and responds to much of the later shock and splatter in gentle and inoffensive 40's colloquialisms such as "gosh", "gee" and "holy moly!" Nonetheless, it is Miller who initially seizes control of the situation and rallies the passengers in numerous attempts to fight back and regain control of the plane. I like to think of the unofficial subtitle of the movie as The Glenn Miller Story, Part 2. 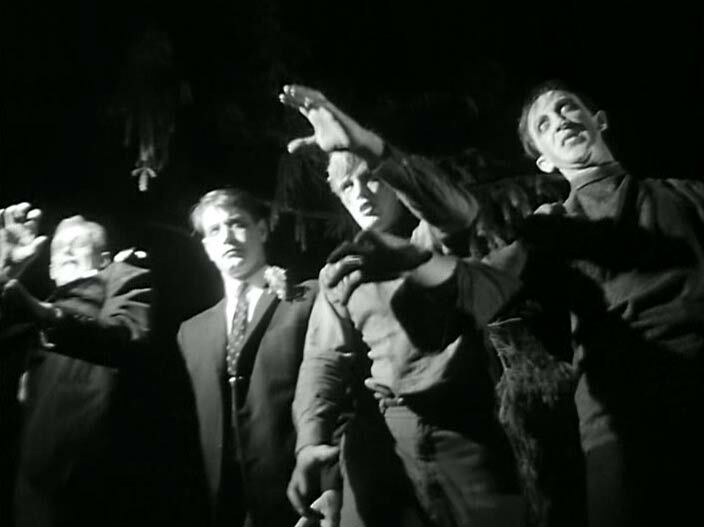 Inevitably, the cast are reduced by numerous attempts to reach the cockpit, swelling the ranks of the undead. First, they try to climb above the cabin through the utility ducts I imagine might be found there, but the ceiling panels give way and lead to a claustrophobic struggle and a retreat back to the rear compartment. Next they descend into the cargo hold, where Jack is attacked and his wife Sally dispatches the resultant zombie with an efficiency that ensures she steps up to take the role of spunky heroine. Whilst in the cargo hold, we reach the second major character twist when the name of the French Doctor is found printed on the crate that had contained the original zombie. It is revealed that he is a Nazi collaborator attempting to smuggle the zombie plague into North America. Faced with the anger of his fellow passengers and the polite interrogation of Miller, he explains in a long sober monologue how he had been based in Haiti to discover whether zombification was a potential weapon for the Third Reich. His studies had revealed that it was impossible to train the zombies, their violence was indiscriminate and their destruction total, but he instead reported the opposite. He fooled his superiors into assisting in the launch of their supposed super weapon, knowing full well it eventually would destroy the entire human world, Axis and Allies alike. It becomes clear that his intimate exposure to the horrors of the war had led him to believe that humanity in its entirety was a plague and irredeemable. He concludes his speech with the assertion that we are already not that different from the undead and they represent the only logical evolutionary step. The Doctor is plainly the villain of the piece. The entire situation is his fault and he repeatedly frustrates the passengers attempts to save themselves, but he does begin to come across as somewhat sympathetic. He sees the violence as a necessity for the atonement of his sins, yet is repeatedly shown to be disturbed by it. but where is Glenn Miller, darn it! The finale takes place back in the cargo hold with only Miller, Sally, the Hostess and the now captive and restrained Docter left alive. To emphasise their predicament - and in a blatant audience pleasing nod to Romero's Dawn of the Dead (1978) - we cut for a moment to our zombified cast on the passenger deck, shuffling the aisle or slouched in their seats awkwardly, killing time until their arrival. Now realising that the plane and it's zombie payload must be destroyed, Miller announces he has a plan. He explains that the pilot, in his dying gasp (remember that? ), had told him there were explosives and parachutes in the cargo hold. They can set up the aircraft to explode and escape through the cargo hatch. When pressed as to why he had waited all this time to bring this up, Miller sadly adds that there are only three parachutes. The four of them exchange anxious glances, then turn to look grimly at the Doctor. He bursts into laughter. When asked by Miller what he finds "so darn funny", the Doctor shrugs and urges them to leave him. Miller is reluctant, but Sally is just plain suspicious. She shakes the Doctor violently by the collar until he confesses that he had seen one of them bitten in an earlier struggle. As he refuses to reveal who, he slips and knocks his head against the bulkhead, passing out cold. Frustrated, Sally suddenly announces: "We don't have time for this, take off your clothes!" There follows a short homage to both 40's screwball comedy and the blood test scene from John Carpenters The Thing (1982), as the trio awkwardly undress to their underwear to examine each other for bites or scratches. Miller, in particular, uncomfortably blushes as he covers his embarrassment with one hand and his eyes with the other, pausing only to peek through his fingers when "it's safe." It transpires the Hostess has been bitten. 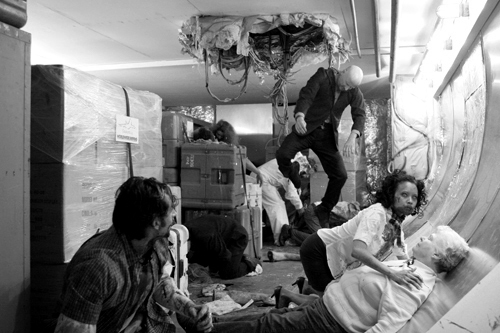 Uncertain what to do, she runs back into the compartment of the plane, leaving the door wide and the survivors at the mercy of the now approaching zombies. With no time to dress, Miller rips open the cargo netting and pulls out the parachutes, a life raft and a flaregun. Sally meanwhile, has donned the parachute and pressed the button to open the hydraulic cargo bay doors. She holds tight to the netting as the wind roars whips around her. Miller, also wearing his parachute, is calmly checking the flare gun. Sally urges him to hurry, but he seemingly can't hear her. She calls again and this time he works his way toward her. He leans in close so she can hear: "Sorry Sally, there aren't any explosives, but this little fellow should do the trick. Count to 20 and pull this cord." He then gently pushes the life raft pack into her arms and she is sucked out into the air. He stands in the open bay doors as the zombies finally approach, closes his eyes and lifts the flare gun to the fuel line. Just to make sure everyone is clear on the science, there is a DANGER: HIGHLY FLAMMABLE sign on the piping. We cut to Sally, her parachute open, still clutching the life raft pack, floating gently toward the sea. She looks up at the plane, a tiny speck high above her, you could almost mistake it for a model. There is a flash and the aircraft explodes in ball of fire. If budget allows, you could even watch the burning debris leave a feint fiery trail as it falls. We fade to black. After a suitable beat, we cut back to a close up of Sally, now lying in the raft, one hand trailing in the vast ocean. Suddenly there is the sound of a foghorn. She stands up and gazes out to sea, she can see nothing. She turns and behind her is the prow of navy cruiser, uniformed sailors line the deck, beaming down at her in her standing in the little raft like a lost 40's pinup. Uncertain what to do, she gives a salute and the deck erupts into cheers. Although it's not, because there is a final post credits scene. We cut to a dense lush jungle. The camera follows the line of suspended parachute straps, until it settles on Miller hanging upside down from the trees. He is charred and his hair is still lightly smoking, but he is very much alive. He struggles to unclasp his harness before a loud and monstrous roar shakes the forest canopy around him. Startled, he adjusts his cracked glasses and stares out toward the unseen menace. He exclaims "Oh...gosh!" and we cut to black. It's pretty amusing to me that I thought it a good idea to set up a sequel, just in case. I suppose I couldn't bring myself to kill off such a gosh darned nice guy. If there was a lesson learned from this early attempt at horror, it's just that maybe I'm not mean spirited enough to have the tools to generate any real fear or dread in my writing. If that didn't come off the rails enough for you, just wait until you read my crimes against Science Fiction.